Third-generation farmer Adam Burton has always tried to keep his family together, but twenty years after his little sister went missing from the family farm he’s losing hope. His dad has walked out, his mum is as reclusive as ever and he still blames himself for his sister’s disappearance. 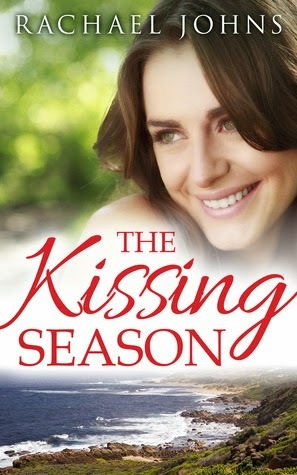 When Stella Reynolds and her young daughter arrive from the big smoke to stay at the holiday cottage on their farm for the summer, Adam is immediately attracted to the beautiful single mum. Although he’s always steered clear of children and doesn’t believe he deserves love or a family of his own, he finds himself spending time with Stella and her young daughter, Heidi, and enjoying it. As the twenty-year old mystery begins to unravel, Stella wonders if she should take her daughter and run. But doing so is easier said than done, because Stella just might be falling in love with Bunyip Bay and a gorgeous, but hurting, farmer. 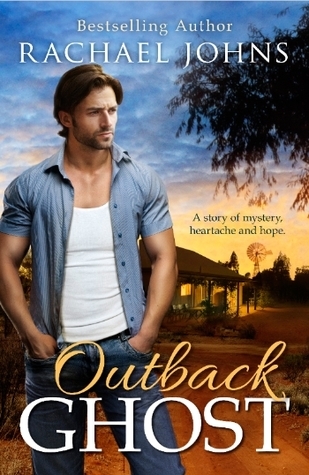 Outback Ghost is #3 in the Bunyip Bay trilogy by Rachael Johns. While it is part of a series it can easily be read by itself. Right up front I will just say I loved this book. 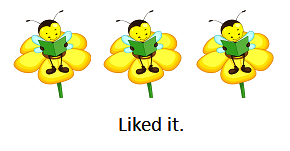 I thoroughly enjoyed it – characters, plot and setting. I am sure at the end of the year I will be highlighting it as one of my top favourites of 2014. Stella and her daughter Heidi (love that name) arrive in Bunyip Bay for a well earned summer break. Stella is a single parent with an adorable seven year old daughter who you can’t but help fall in love with right away. Heidi’s warmth and love of life filled the book up with light. I felt sad that her grandparents never got to know her, what a huge gift they turned their back on. Ever since Stella has been nineteen she has been raising Heidi by herself with no support from her family. What a fabulous mother she is. They have been living in the city, but now Stella wants to give Heidi a taste of farm life. And so she rents a cottage for a couple of months on Adam’s farm. Unbeknown to Stella people don’t usually stay here because of strange bumps in the night and whispers of hauntings. We soon learn that seems to have some truth and Heidi makes friends with a certain LilyBlue. Adam the farmer has lived with the trauma of at one minute playing with his younger sister and the next moment looking up and finding her gone. He has always blamed himself, that day he lost his mother too. She withdrew into herself and as the book opens her husband is on the verge of leaving her. What helped me love this book so much? The love of a mother – Stella for Heidi, the heartache of a mother – Esther for her daughter snatched away one sad day. The heartache of a husband who can no longer cope with the greyness of a wife who still grieves the loss of her daughter. The guilt and love of Adam who while feeling somehow responsible for the loss of his sister goes on living as best he can, yet robbed of desiring his own children for fear he will not be able to protect them. I loved the animals – Mutton the young puppy, Whiskers the cat and all the others to a lesser degree. The story moved along at a good pace and slowly the mystery unfolded with its impact on the various characters. I liked the exploration of being a parent of a child with special needs. I smiled, laughed and choked back tears as I followed the ups and downs of Stella, Adam, Heidi and Esther. I rejoiced as a sense of closure was reached. My only complaint about this book is that it had to end! So when Faith embarks on a mission to raise money for a charity close to her heart, and Monty’s dream property comes on the market, things seem like they are falling into place for them both. Until a drunken night out ends with them sleeping together. Suddenly, the best friends are faced with a new load of challenges…Monty and Faith are both ready to find a life partner and settle down, but have they both been looking in all the wrong places? 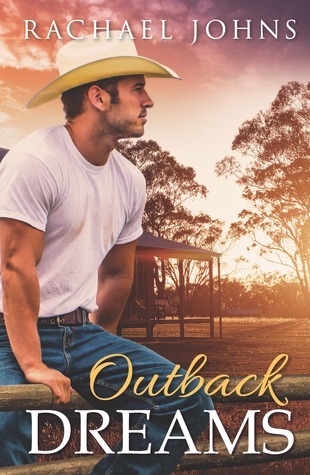 This book is set in a small outback town in Australia. Faith feels she is stuck in a rut, her brother and Dad seem to be taking her for granted, she has no ‘man’ of her own, apart from best friend Monty. The book begins and ends with Faith at a school reunion. In between times Faith has gone on a rather significant journey of finding herself. I like the way the book opens and closes at the same venue, yet Faith is in a completely ‘space’. Monty has grown up with a brother Will, who is autistic. He has always loved his brother but also experienced losing some things in life that were important to him because of the decisions the family has had to make. I liked this exploration of the impact on a sibling in a family with an autistic child. Monty has always known what he wanted – or does he? As the story progresses he finds his world is thrown into chaos and his perceptions and values change – just a little but the change brings with it notable adjustments in his life. The part in the book I found most touching was a conversation Faith had with her Dad towards the end of the book. Faith had been struggling with her relationship with her Dad; ever since her mother had died, she has found it really difficult to relate to him and this eats at her. He has been struggling too, and has not really recovered from losing his wife – he harbours grief and a number of fears. To me in many ways this was a gentle old fashioned romance. While there were definite ‘sparks’ I think you could classify this book in the low sensual category. It’s no surprise to anyone when Hannah Elliot makes the spontaneous decision to marry a stranger in Las Vegas. But when she finds herself pregnant and her new husband files for an annulment, she dreads having to tell her family. Returning to her Australian hometown of Wildwood Point, Hannah is determined to become a devoted mum and put her baby’s needs ahead of her own. She’s also set to prove to her family she can actually be responsible. This means putting her wild past behind her and accepting a job back in the family business…while keeping her pregnancy a secret! This novella is the first book I have read by Rachael Johns and I enjoyed it. It is only 100 pages so there is not a lot of time for the characters to really develop, however when I am reading a novella, I am happy to suspend certain expectations. Hannah is a fun character, thought to be flighty and irresponsible by her family, she has returned home after a travel fling. She works in the family business and there she meets Matteo who on first sight seems to be a charming womaniser. As I read along I realise that there is more to Hannah than flighty and irresponsible, and that maybe her family don’t see her that way at all. It is not long though before it becomes evident that Matteo has a mother he cares about a lot, he cared for his own Dad but had a rough time with his step dad. He really is quite responsible and ready when the right time and person comes along to step up and find his true heart’s content. He champions Hannah right throughout the story. This book was a very good introduction to Rachael Johns’ writing, I am looking forward now to reading Outback Dreams in the near future.